Bartow Ford scored a winning touchdown when receiving an invitation for an inside look at the Tampa Bay Buccaneers’ training facility, rightfully christened One Buccaneer Place. Bartow Ford team members from several departments hopped into a 2013 Ford Expedition and set off on a Buccaneer road trip. 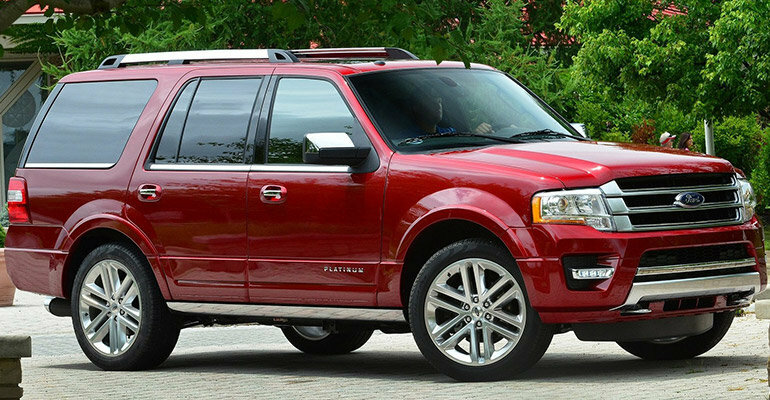 Using Ford’s SYNC navigation to mark the desired destination, the SUV cruised down I-4 for a 50-minute drive to Tampa. On approach, the visitors to One Buccaneer Place gazed upon a steel crafted football sculpture, which adorns the entrance. The welcome structure weighs an extraordinary 20 tons, and an audio system designed to keep friendly fowls away can be heard upon entering. The lobby of the building is designed to resemble the interior of a pirate ship and is decorated with custom marble floors and historic memorabilia. After a brief introduction to the tour guide, Jessica Beers, the group set off on their football adventure. The first destinations on the tour route were the media room and press conference studio. The press conference studio resides adjacent to the media room, can hold up to 75 people, and is used for shooting commercials, hosting press conferences, and conducting interviews. An additional room in this area includes an auditorium, which offers theater-style seating with furniture fashioned to hold up to 500 lbs. After visiting the media and press conference rooms, the tour led into the most delicious room on the premises, the dining room. The eatery is approximately 3,500 square feet, serves three meals a day, and is headed by Executive Chef Mike Beadles. Venturing up to the corporate sponsors’ room, tour guests were treated to a historical video depicting the Buccaneer tradition, as well as a full view of the Buccaneers training on their practice fields. Spanning eight acres, the team has the option of three full-length football fields for game preparation. Fact: The three full-length grass fields take three hours to mow and are manicured daily. Since the players were utilizing the facility, access was limited for the day. The uncharted territory included the 6,600 square feet Buccaneers locker room-equipped with a steam room and sauna to create a country club feel. Additional conveniences consist of a player’s lounge, a trainer’s rehab, equipment, and weight rooms. As the tour came to a close, a chance meeting awaited in the stairwell as Coach Schiano passed and exchanged pleasantries. 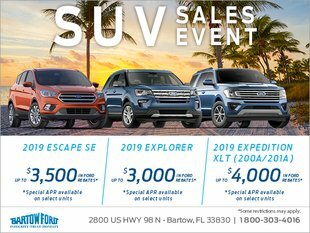 The Bartow Ford crew loaded back up into the Expedition and bid farewell to the 33-acre ship of dreams, leaving with new knowledge and memories. Fact: One Buccaneer Place is home to 264 employees and has been housing the Bucs for over seven years.